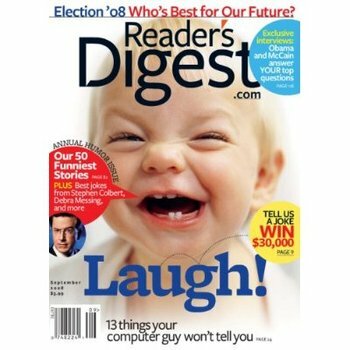 Reader’s Digest $5.99 – GREAT Magazine Deals: Family Fun, Taste of Home – More! Pinching Your Pennies has put together a great list of Fabulous Magazine Deals from Tanga w/codes. Get a one year subscription to the following magazines, prices range from $2.50 to $6.99.